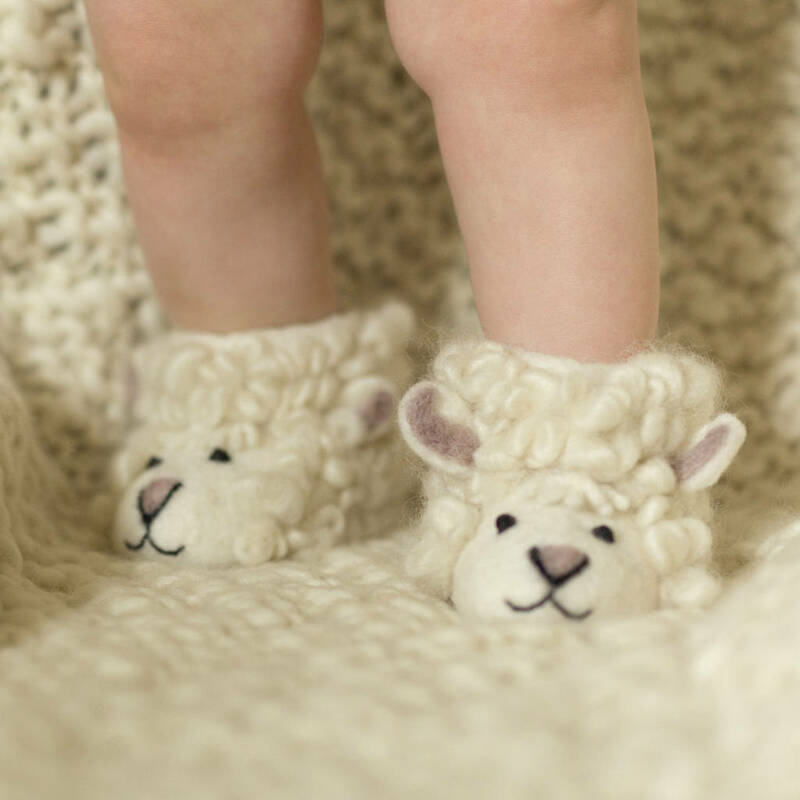 Made from super soft 100% Merino wool with fine needle felted detail, our brand-new Shirley Sheep slippers are part of the New British Farm Collection. Delicately sewn features bring the characterful animal slippers to life while cross stitched, soft suede anti-slip soles are added to finish them off and make them totally toe-tastic! 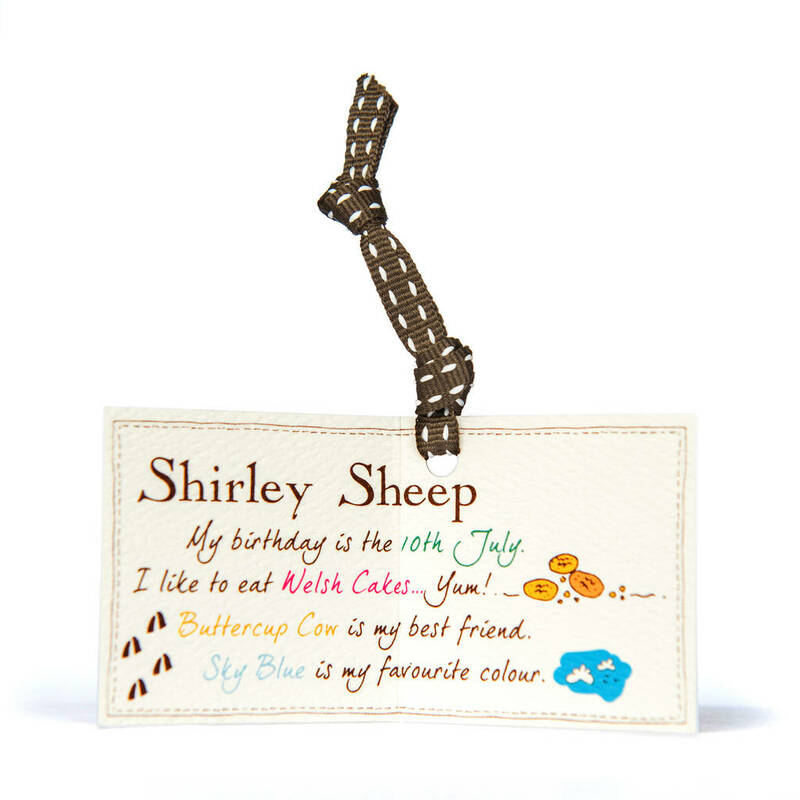 They are beautifully presented in an organic, cotton, draw-string pouch. 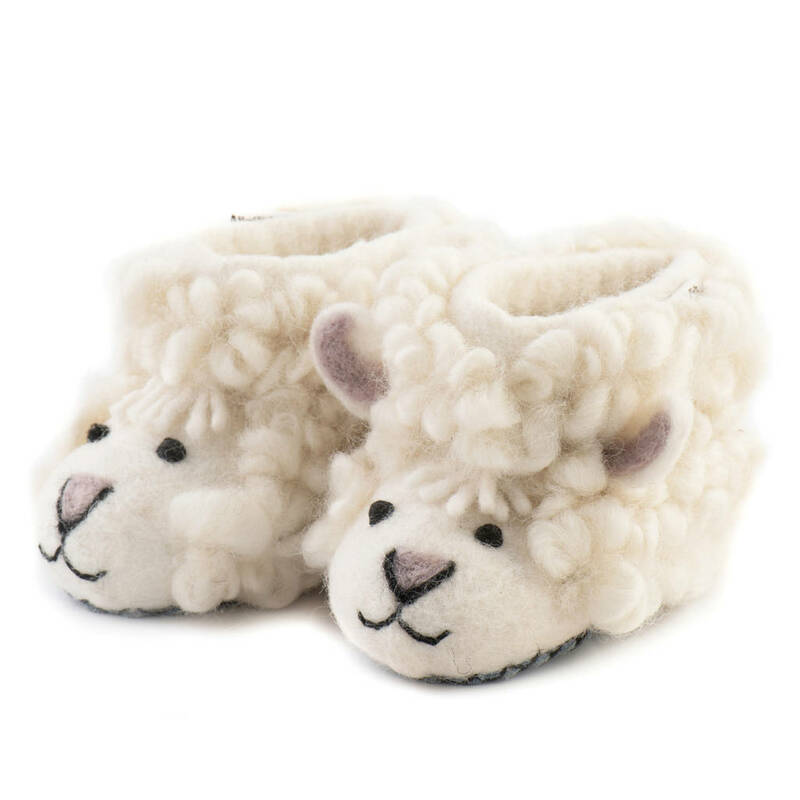 More skippy than a new Spring lamb, these scrummy new slippers will have you jumping over farmyard fences before you can say “Ol’ MacDonald had a farm”!. Other animal slippers also available; please see our other listings for details. Sew Heart Felt slippers are created in the land of Kathmandu by clever ladies who shape organic wool by hand with soap, water and a sprinkle of genius. This product is dispatched to you by Sew Heart Felt.